[9 June 2016, Hong Kong] YS Liu, Chairman of the Board of Governors for the Hong Kong Philharmonic Orchestra (HK Phil), today announces that Jaap van Zweden has extended his contract with the HK Phil for three more years. The new contract will last through to the end of the 2021/22 season. “We are thrilled that Maestro van Zweden has chosen to extend his contract with the HK Phil following his appointment as the next Music Director of the New York Philharmonic,” said YS Liu. “It is reassuring that the Maestro’s directorship of the HK Phil will remain unchanged for the next six musical seasons”. 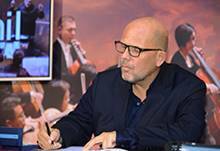 Jaap van Zweden said, “I always think that every player of the HK Phil is a gem, and together each of these highly talented musicians makes a wonderful orchestra. I am very happy to extend my tenure as their Music Director and it is always an honour to work with them. We have many more exciting projects yet to come”. Michael MacLeod, Chief Executive of the HK Phil said, “The HK Phil is honoured to share the same conductor with the New York Philharmonic. Jaap van Zweden will be leading two great orchestras in two great cities. 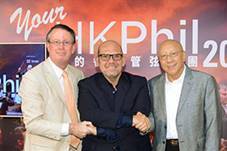 In the coming season Jaap will continue to lead the HK Phil on an exciting journey of music making. This is something that the whole orchestra is looking forward to”. 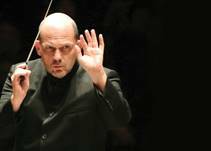 In the 2016/17 Season, Jaap van Zweden will be conducting the HK Phil for nine concert programmes. Highlights include Siegfried, the third instalment of the orchestra’s landmark Ring Cycle, in January 2017; Mahler symphonies no. 1, 3 & 6; Shostakovich Symphony no. 8; and Schubert’s “Great”. In October 2016, maestro van Zweden will lead the orchestra in a three-city concert tour to the mainland Chinese cities of Shanghai, Tianjin and Beijing. 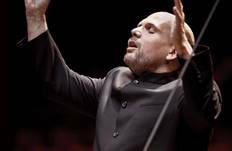 Jaap van Zweden has risen rapidly in the past decade to become one of today’s most sought-after conductors. Starting with the 2018-19 season, he becomes the Music Director of the New York Philharmonic. Currently, he is Music Director of the Dallas Symphony Orchestra since 2008, and has been Music Director of the Hong Kong Philharmonic Orchestra since 2012. Jaap van Zweden was named Musical America's 2012 Conductor of the Year. Jaap van Zweden is a regular guest conductor with the world’s most prestigious ensembles, among them the Chicago Symphony Orchestra, Cleveland Orchestra, Munich Philharmonic, Orchestre de Paris, Rotterdam Philharmonic and Royal Concertgebouw Orchestra. In recent seasons, he made his debuts with the Berlin Philharmonic and the Vienna Philharmonic. His acclaimed recordings have included Wagner’s Tristan und Isolde, Parsifal, Britten’s War Requiem, Stravinsky’s Rite of Spring and Petrushka, the complete symphonic cycles of Beethoven and Brahms and a recent Mahler 3. Also recently, his recording with the Hong Kong Philharmonic Orchestra of Wagner’s Das Rheingold, the beginning of a complete Ring Cycle over four years, was released on the Naxos label. Born in Amsterdam, Jaap van Zweden was the youngest ever concertmaster of the Royal Concertgebouw Orchestra. He began his conducting career in 1995. Two years later, he and his wife Aaltje established the Papageno Foundation. The Foundation supports families of children with autism. The Hong Kong Philharmonic Orchestra (HK Phil) is recognised as Asia’s foremost classical orchestra. The Orchestra presents more than 150 concerts over a 44-week season and attracts more than 200,000 music lovers annually. Jaap van Zweden, one of today’s most sought-after conductors, is the Orchestra’s Music Director, a position he has held since the 2012/13 concert season. Maestro van Zweden was recently announced as the next Music Director of the New York Philharmonic. This appointment will not affect his tenure with the HK Phil; his commitment to the HK Phil extends at least to the summer of 2022. Yu Long was appointed for an initial three-year term in the 2015/16 season as Principal Guest Conductor. Under Maestro van Zweden, the HK Phil is undertaking a variety of initiatives including a four-year project to perform and record the complete Ring of the Nibelung (Richard Wagner). The Orchestra is in the second of this four-year journey, performing one opera annually in concert. The performances are being recorded live for the Naxos label and mark the first performances by a Hong Kong or mainland Chinese orchestra of the entire Ring cycle. Also under van Zweden, the orchestra undertook a highly successful five-country, seven-city tour of Europe in the 2014/15 season, with concerts in London, Vienna, Zurich, Eindhoven, Birmingham, Berlin and Amsterdam. Performances were met with enthusiasm and universally positive reviews. The concert in Vienna’s Musikverein was filmed for broadcast on TV. Conductors and soloists who have recently performed with the orchestra include Vladimir Ashkenazy, Ning Feng, Matthias Goerne, Lang Lang, Yu Long, Yundi Li, the late Lorin Maazel, Anne-Sophie Mutter and Yuja Wang. The HK Phil promotes the work of Hong Kong and Chinese composers through an active commissioning programme, and has released recordings featuring Tan Dun and Bright Sheng, each conducting their own compositions, on the Naxos label. Its acclaimed community engagement programme brings music to tens of thousands of children annually. A recording was issued free to schoolchildren throughout Hong Kong of Britten’s The Young Person’s Guide to the Orchestra, Prokofiev’s Peter and the Wolf and Leopold Mozart’s Toy Symphony. 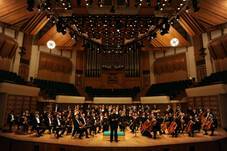 The Swire Group has been the Principal Patron of the HK Phil since 2006. Through this sponsorship, which is the largest in the orchestra’s history, Swire also endeavours to promote artistic excellence, foster access to classical music and stimulate cultural participation in Hong Kong, and to enhance Hong Kong’s reputation as one of the great cities of the world. Thanks to a significant subsidy from the Hong Kong Government and long-term funding from Principal Patron Swire, the Hong Kong Jockey Club and other supporters, the HK Phil now boasts a full-time annual schedule of classical music concerts, pops concerts, an extensive education programme, and collaborations for staged opera with Opera Hong Kong and the Hong Kong Arts Festival. The Orchestra’s history stretches back to 1895, when it was formed as the Sino-British Orchestra. It was re-named in 1957 and became fully professional in 1974. The Hong Kong Philharmonic Orchestra is financially supported by the Government of the Hong Kong Special Administrative Region. SWIRE is the Principal Patron of the Hong Kong Philharmonic Orchestra. 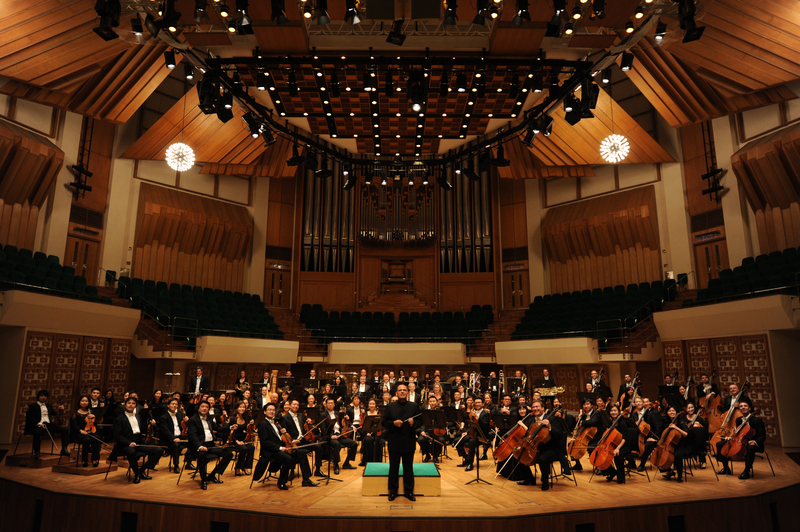 The Hong Kong Philharmonic Orchestra is a Venue Partner of the Hong Kong Cultural Centre.